Monitor your household electricity consumption and compare it with that of similar households; discover whether or not you are efficient and access personalised saving tools and tips. 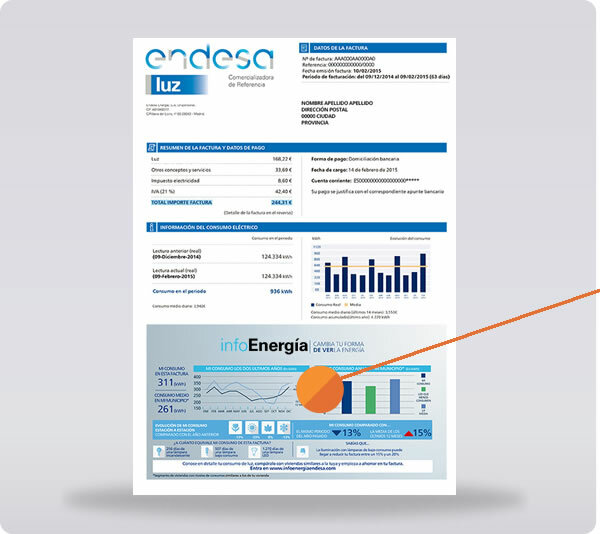 infoEnergía is the first energy information and consultancy service for Endesa customers. A pioneering and absolutely innovative service, aimed at residential customers with electricity contracts with Endesa Energía and with a contracted power below 15 kW. You will receive in-depth information about your electricity consumption. You can compare your current consumption with earlier periods and with that of other similar households. Thanks to the personalised energy efficiency tools and tips you will begin saving right now. You choose the details that best suit your needs. 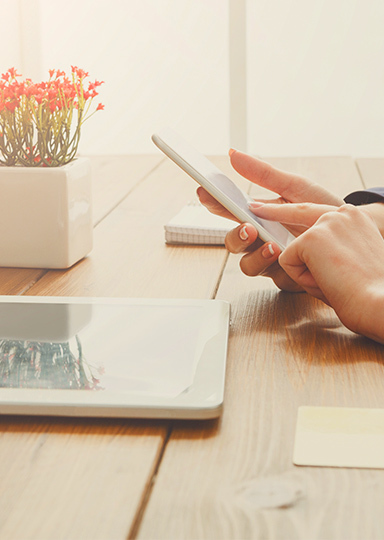 Personalise the information displayed by infoEnergía on your bill. Where to find more information about infoEnergía? infoEnergía will always appear on the first page of your bill. 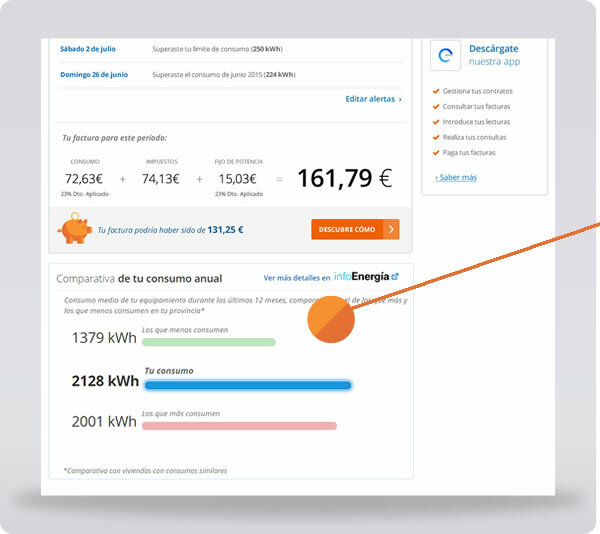 Here you will find a personalised overview of your energy consumption. 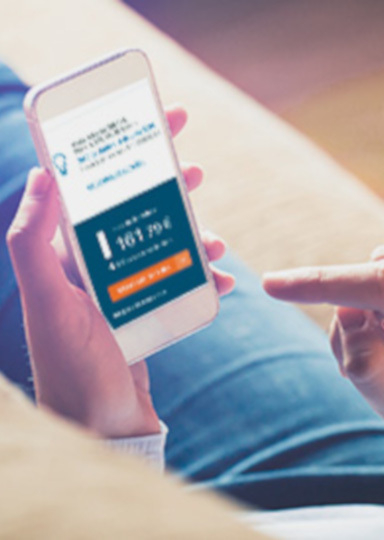 If you choose to receive electronic bills from My Endesa, your Endesa Customers private area, you will receive an email each time your new bill is issued. 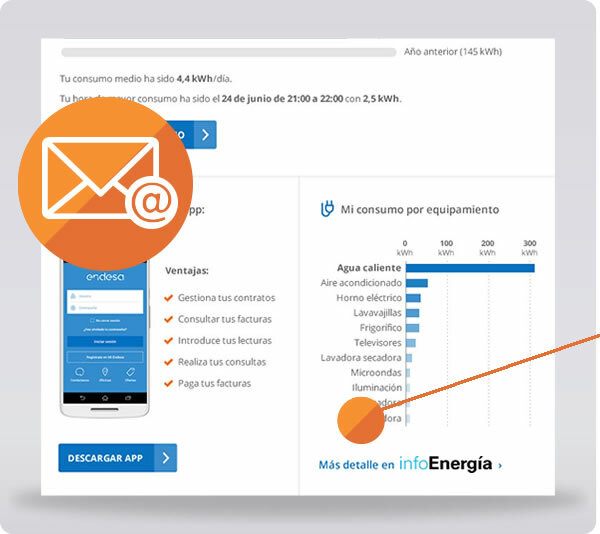 Soon, you will also provide information and access to infoEnergía in this e-mail. 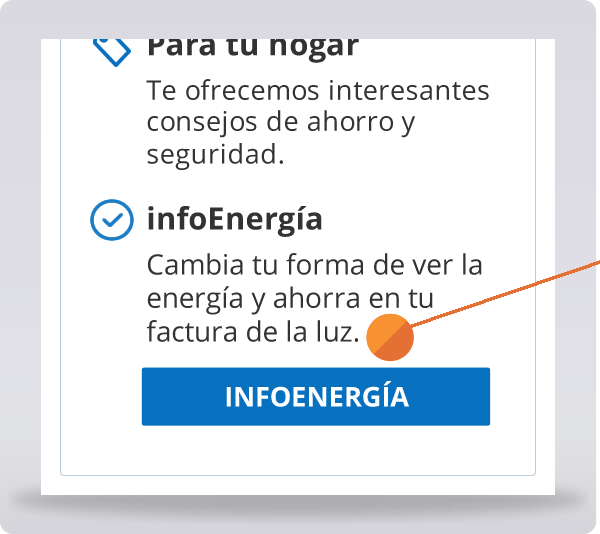 You can access your infoEnergía private area by visiting My Endesa and then the Get Our Advice section. 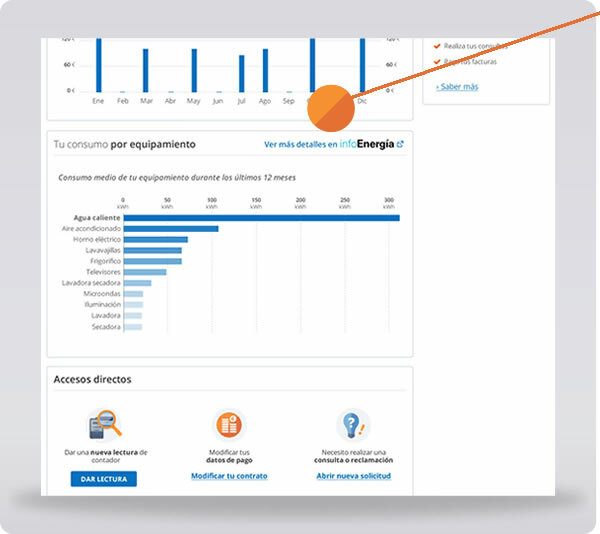 Access My Endesa now and discover full information about infoEnergía. With electronic billing you do not lose anything, but you gain a lot.